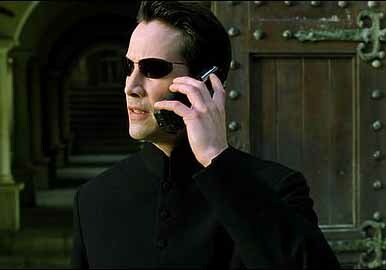 First, I’ve had a technical issue and if you applied for a Spiritual Laser Focus, you may not have received my reply to schedule your call. I messaged back the people affected, and if you still haven’t got my reply, contact me again. Thanks! Here’s an interesting development. One of my past lives was the Monkey King, also known as Su Wukong and Hanuman. This being has such a distinct character that you really can’t confuse it with anything else. 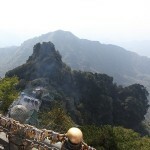 For full transparency, this being, Su Wukong, currently has 13 simultaneous incarnations, 12 on Earth. Each fragment holds a different range of abilities, and each are at various levels of consciousness and alignment. Some incarnations have their ego and higher self fighting with each other and required pulling the soul 80% out of those bodies. That’s more of a personal issue of soul management with multi-incarnation. The soul fragmentation has mostly been healed to recover full powers as a whole being, for the first time in a very long time. Now here’s where it gets interesting. We’re getting flooded with Monkey King movies. In 2013, there was the movie Journey to the West: Conquering the Demons. Tuning into it, it has 13.0% resonance with the physical reality, 15.6% resonance with the astral reality, and 11.4% resonance with the philosophical reality. Take with a bucket of salt; I don’t recognize much from the preview. 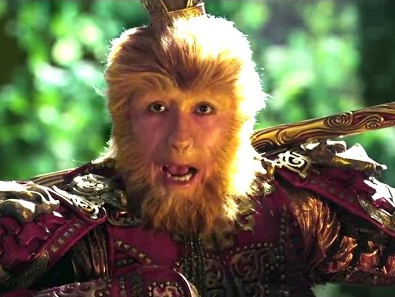 In 2014, there was the movie The Monkey King. It has 11.0% resonance with the physical reality, 91.8% resonance with the astral reality, and 91.4% resonance with the philosophical reality. Astral reality is very highly accurate. In 2015, there was the movie Monkey King: Hero is Back. The film was the highest-grossing animated film in China until it was surpassed by Zootopia and Kung Fu Panda 3. It has 1.1% resonance with the physical reality, 20.3% resonance with the astral reality, and 24.6% resonance with the philosophical reality. Fun movie. In 2016, there was the movie The Monkey King 2. It has 11.8% resonance with the physical reality, 51.4% resonance with the astral reality, and 91.4% resonance with the philosophical reality. Philosophical reality is very highly accurate. In 2017, there was the movie Journey to the West 2: The Demons Strike Back. It has 3.0% resonance with reality, 1.4% resonance with the astral reality, and 1.2% resonance with the philosophical reality. I don’t know what the author has been smoking but this one is pure fiction. To make up for it, here’s another movie in 2017: Su Kukong. This one has 4.8% resonance with the physical reality, 1.4% resonance with the astral reality, and 15.6% resonance with the philosophical reality. Another fictive remix, but this one looks cool. I just LOVE the theme song of the movie Su Wukong!! They really have to step up the quality of movies though. Coming up next is the movie The Monkey King 3: Land of Beauty, to be released in February 2018. This is the movie series with high accuracy so I’m definitely looking for that one. It looks like Hanuman, or Su Wukong, is increasingly coming back into people’s imaginations. I think they’re trying to tell us something. In any cases, all this attention being put into my soul is helping to revive that ancient being, and it gives me a lot of energy that can be leveraged to expand a new paradigm on Earth. I would love, however, if they could step up the accuracy of the movie, and show other aspects of Su Wukong’s history that hasn’t been explosed yet. Such as the story of Orion as described in The History of the Universe. In any cases, 7 8 movies in 6 years is a record. I know of no other being who ever had that. Edit: Here’s one more movie from 2011: Monkey king The Lost Empire. This one has 25.6% resonance with the physical reality(! ), 15.0% resonance with the astral reality and 15.8% resonance with the philosophical reality. This one definitely look interesting — only movie so far that is somewhat realist on the physical plane. And one more comedy film in 2016: Monkey King Skeleton Demon Journey. This one has 12.4% resonance with the physical reality, 1.4% resonance with the astral reality and 2.6% resonance with the philosophical reality. This entry was posted on July 25, 2017, 11:07 pm and is filed under Conscious Ressources. You can follow any responses to this entry through RSS 2.0. You can leave a response, or trackback from your own site. Hi Etienne, Thanks for sharing with me your experiences and knowledge. It seems many of us are waking up to why we came here to planet Earth at this timeline. I’m sure that I have a bigger part here then what I can remember. I’m working on it though. Interesting you talk about this Hanuman (H – AN- UMAN) (H-ANU-MAN). we are worshippers of Hanuman. He has protected us , here in the UK from horrendous demonic attacks.Our eyes have been opened. There is a large population of evil worshipping demonic kings from lower realms. Yes lots of people worshipping the devil right now, willingly or unknowlingly. I don’t know too much about UK… Elohim, the Empress of Orion, was in that area for many incarnations, but I don’t think I’ve been there too much. Psychically yes I’ve definitely done lots of work.